Fashioned by Lyndell: Eeeeps - an Interview! 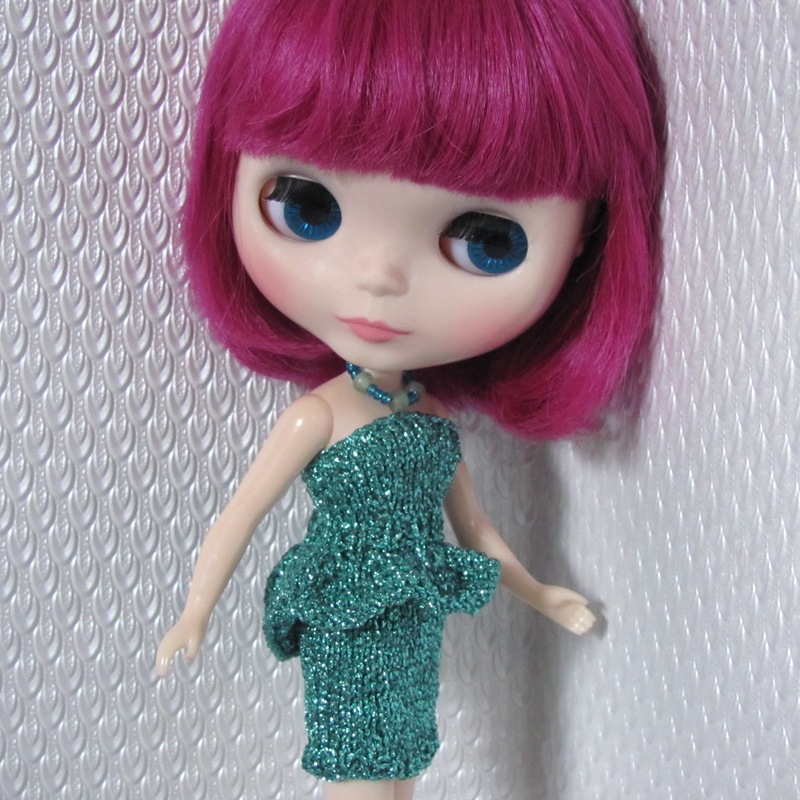 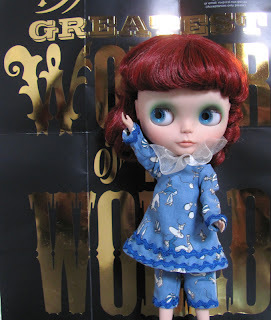 I was interviewed by Michelle and she has posted it all on her wonderful Blythe Life blog - click here to 'read all about it'. 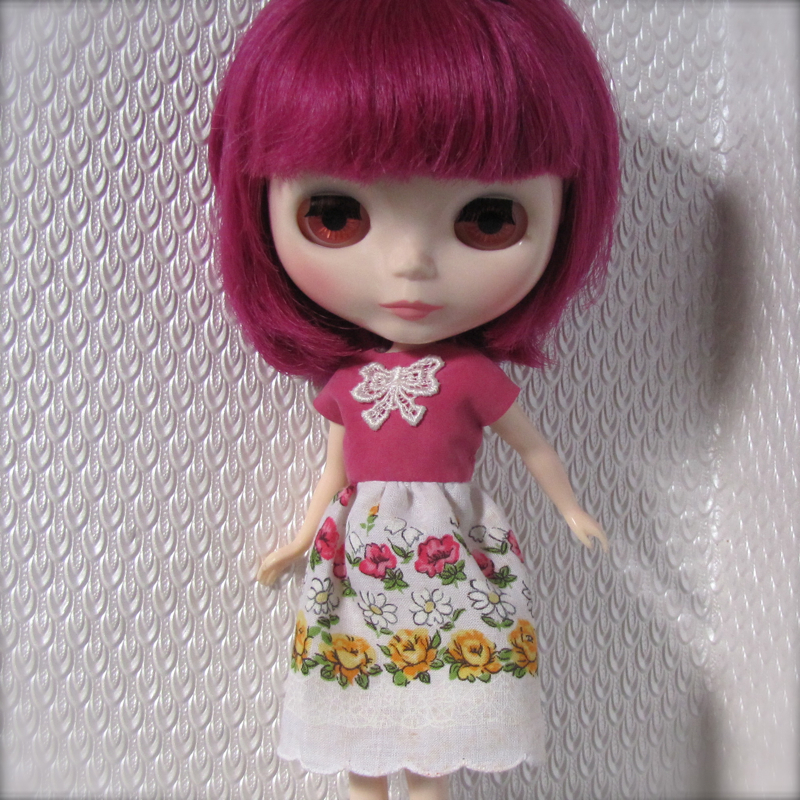 I'm currently making dresses from a hankie with a happy pink and yellow floral border - this is the first dress to be finished ... there will be more little dresses with skirts like this.